Dense phase conveying minimizes wear with abrasive product while packaging automation systems reduces labor and increases safety. 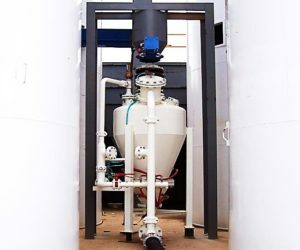 Four dense phase transfer systems were provided. The first system moves material from a ball mill to a storage bank of 8 silos. The remaining three dense phase conveying systems move material form the silos to one of three packaging stations or truck load out. Because of the extremely abrasive nature of the product, dense phase conveying was used to minimize the effects of wear. Material needed to be packaged into both 50 & 100 pound valve bags and 2,000 pound bulk bags. The material required different machines for different size mesh material. 100 mesh and smaller were to be packaged on an impeller packer while 48 mesh and larger material used an air packer to fill valve bags. A separate bulk bag filling station was also used. 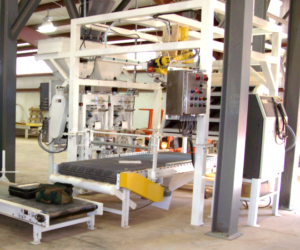 Because of a desire for minimal operator interface, the systems we designed to include automatic bag placing, palletizing and stretch wrapping. Dense phase transfer of 5 grades of material from intermediate storage to 1 of 2 valve bag packing lines, bulk bag packaging or truck load out. 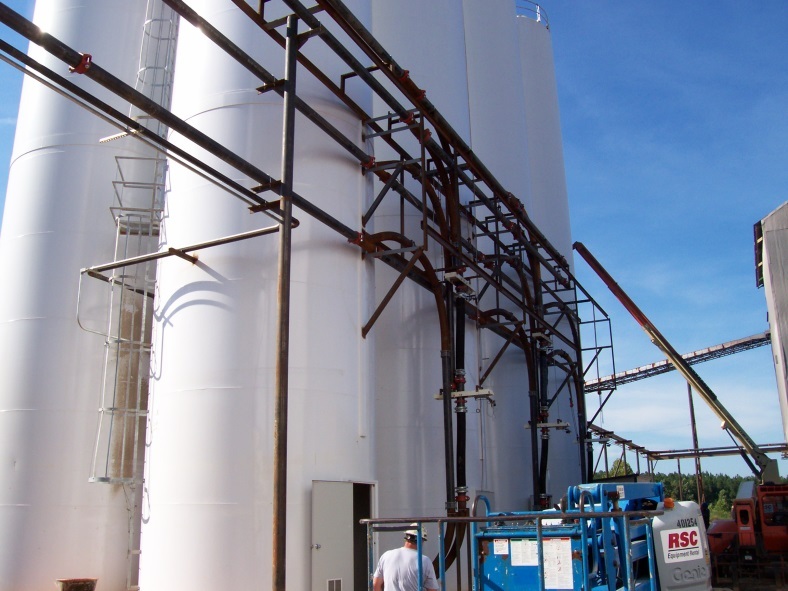 Have an upcoming project or need to rehab a current process in the chemical industry? 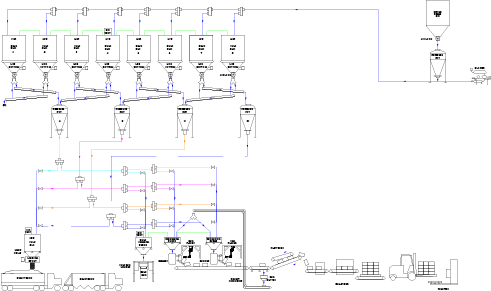 Contact your regional manager to discuss pneumatic conveying and packaging automation system capabilities. WORLD OF ASPHALT 2019 – MAGNUM SYSTEMS DEBUT!